Today begins with “All is quiet on the Western Front”, but that is not quite how it will end. According to High Country Weather, Wisp is forecasted to be the big winner with 4-7″, total, by this time tomorrow! 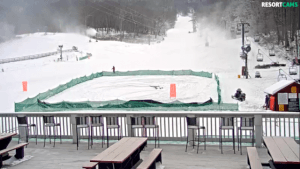 They are followed by Canaan/Timberline 4-6″, Snowshoe 3-5″, and 1-2″ for Winterplace. The state of Virginia will also see some measureable snow (1-3″), with NC/TN only getting just over an inch at the highest elevations. 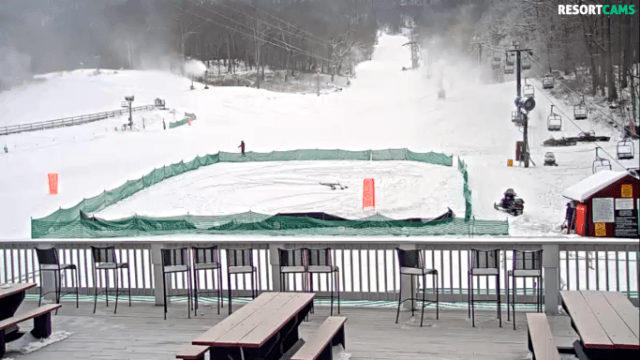 This morning might just be the calm before the storm (literally and figuratively) as the next couple of days we will see skier/rider visits skyrocket! Enjoy the slopes! Snowshoe: ~1″ today. 2-4″ tonight. up to 55 runs open (50 yesterday) = 207 acres . . . New notable runs: Grab Hook, Black Bear, Shamrock, Camp 4 (delayed opening today), and Evolution (medium terrain park – delayed opening today). Canaan Valley: ~1″ today. 3-5″ tonight. XC skiing . . . Open with limited trails. Shallow and light, with snow in the forecast for today. Timberline: ~1″ today. 3-5″ tonight. no real change in their snow report today . . . Snowmaking is on. 6 runs, 2 lifts, 12-48″ base with Groomed conditions. Winterplace: A slight chance of snow today. 1-2″ tonight! The most snowfall happens at Wisp! Snowmaking on 2 unopened, additional runs . . . Possum and Eye Opener. Terrain park update . . . FREESTYLE FEATURES ON LOWER NUTTEN- TO-IT, PARK FEATURES TO MOVE TO CMB ON SAT. Today . 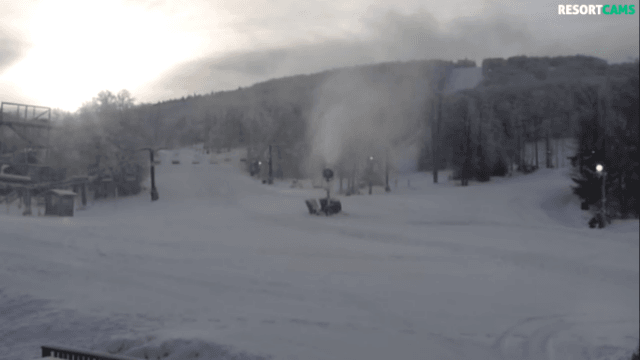 . . Snowmaking is underway. 24″ base with Groomed and Packed Powder conditions. 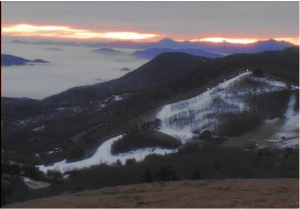 Beech Mountain: less than 1″ today. Less than half an inch tonight. Tubing reopened, but . . . 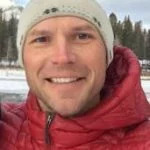 Please call ahead for ice skating and tubing session times. App: Wintry mix begins this afternoon. Less than half an inch tonight. The Cataloochee Challenge Adult Recreational Race League begins tonight. 40″ groomed base, with 4 runs and 3 lifts open until 10pm. Sapphire: reopens tomorrow @ noon. Just so you know . . . “Tomorrow is the start of MLK weekend. We will switch to Holiday rates and hours Friday – Monday”.